Browse Available MLS® Listings | What's Your House Worth? 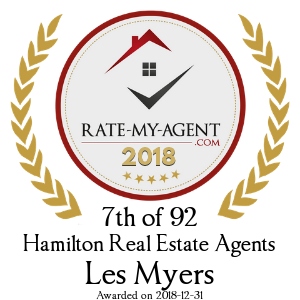 Les Myers, Sales Representative at Royal Lepage State Realty, is a professional Realtor® with a positive attitude and over fifteen years of realty experience selling homes, townhouses, condos and other types of properties in Hamilton Ontario. 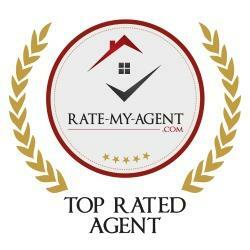 He invites you to begin your online search for real estate in Hamilton / Ancaster / Stoney Creek and surrounding areas. Whether you are first-time home buyer or selling a house in Hamilton Ontario or surrounding areas, hire a professional and experienced Hamilton real estate agent like Les Myers, Sales Representative for Royal LePage State Realty, Brokerage. Les wants to earn your business so he will listen to you and will work hard for you. Les invites you to contact him as he'd be happy to assist you with this most important real estate transaction. Read here to find out more about Les. Begin your search for detailed mls listings of homes, townhouses and condos for sale in Hamilton, Ancaster, Stoney Creek, Dundas and Grimsby Ontario or to set up a real estate listing notifier to be one of the first to get the hottest, newest realty listings. Find out what your Hamilton Wentworth home is worth in todays real estate market. In addition, if you have any general questions about buying or selling real estate in Hamilton Wentworth Ontario, please contact Les who is more than willing to help. Are you thinking of Listing your House to Sell? Les will walk you through the process, from Pricing your Home, Listing your House on MLS Hamilton, and Marketing your Property until the "Sold" sign is on your lawn. Buyers will appreciate Les's sincere approach to Purchasing their dream Home. Start your Hamilton Real Estate adventure with Les Myers from Royal LePage State Realty, Hamilton, Ontario. Please browse my website for real estate listings, reports and important local Hamilton real estate information. Always " GET MORE FROM LES"
Royal LePage State Realty, Brokerage987 Rymal Rd. E.
Find houses and other properties listed for sale in Hamilton & Stoney Creek on the MLS or at Royal LePage State Realty by visiting mls.ca, our office listings and royallepage.ca . RealEstateBig.com - The Real Estate Directory Find Real Estate Directory and Real Estate Resources. Real Estate Directory - Browse our web directory for real estate agent, property listing, for sale by owner home, mortgage, foreclosure, apartments, moving info, or relocation assistance. Hamilton Real Estate listings from a Hamilton Real Estate Agent. Royal LePage Hamilton Real Estate listings include new homes for sale, resale homes, condos and houses. Planning on buying or selling a home? You're in the right place. morefromles.com is your portal to Hamilton area homes for sale and Hamilton real estate listings from Royal LePage Hamilton. Want your home listed on morefromles.com? 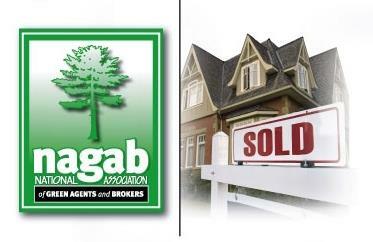 Contact this Hamilton real estate agent at Royal LePage State realty, Brokerage. Check back for Hamilton area homes for sale, condos, new homes, and neighborhood information. Les Myers donates a portion of every sale to support the Shelter Foundation. Proud sponsor of a local Hamilton Basketball team.